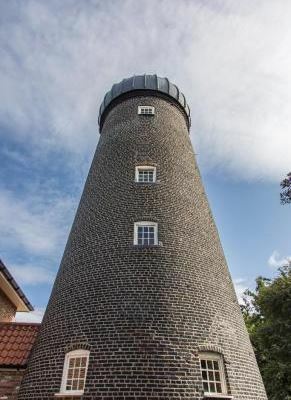 A home and a windmill for sale, or more appropriately termed: with sails! 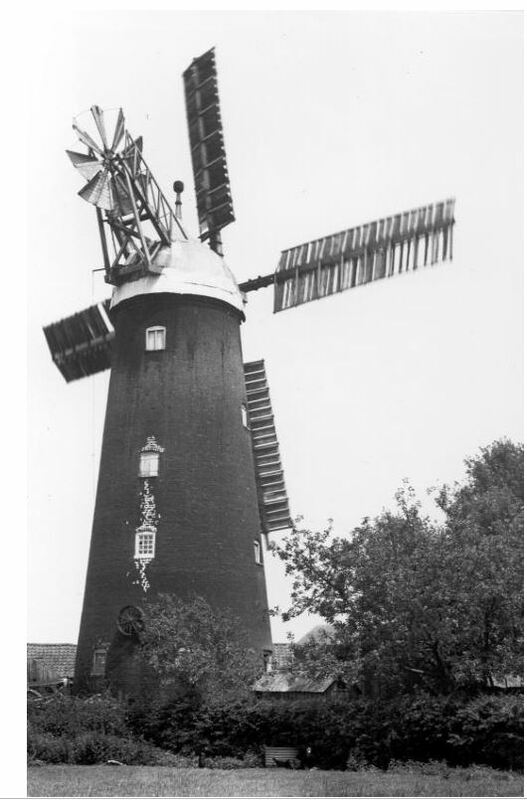 So many windmills have lost their sails over years of decay and disuse. It is really nice to see a proper set of sails that restore these iconic buildings to their former glory. 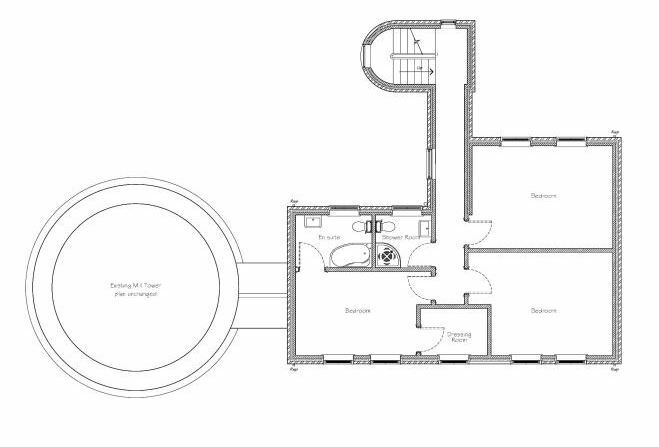 The accommodation is principally on the ground floor. 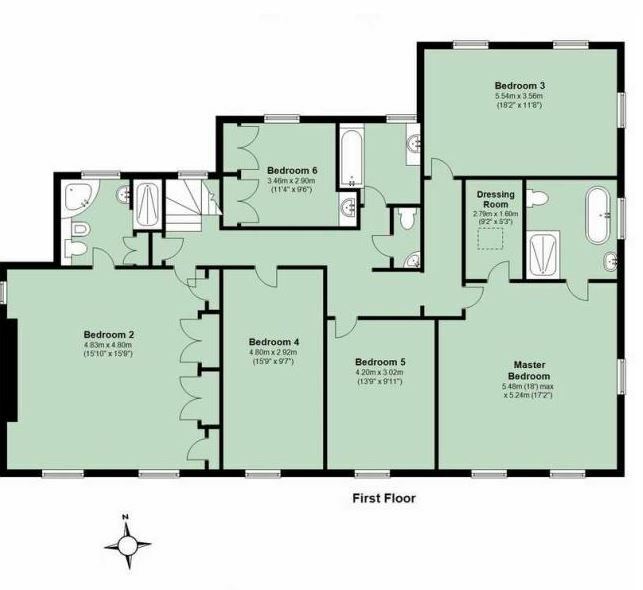 Floorplan – Smock Mill, Swaffham Prior, Cambridge. 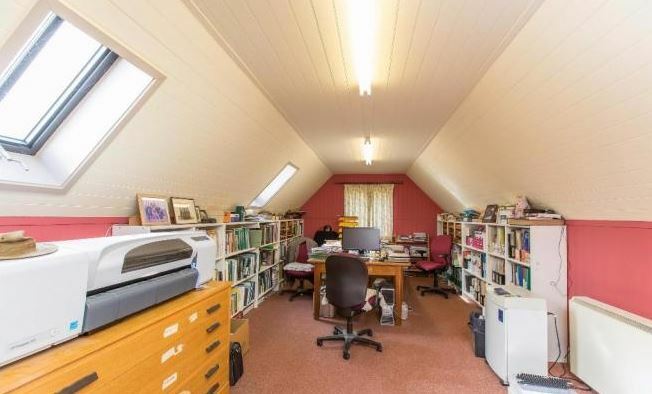 From this room, stairs ascend to the first floor reception room/bedroom 3 with character exposed ceiling timbers, wooden flooring and step ladder access to the upper floor mezzanine study/studio. Here there are four small windows and a loft trap to an upper area providing access to the platform (and panoramic views). 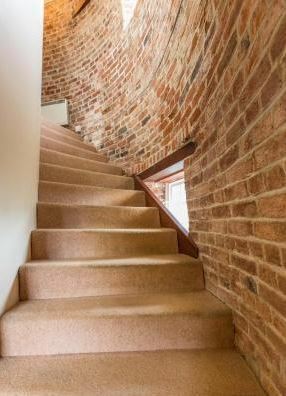 Smock Tower Mill has undergone a substantial renovation and conversion into a wonderful style of home. 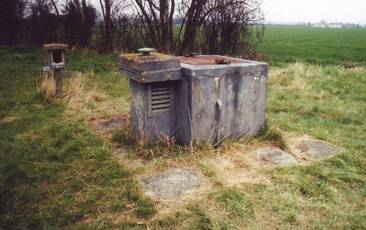 Including three lozenge shaped weather-boarded octagonal “pods” with glazed links which connect them to the original structure. 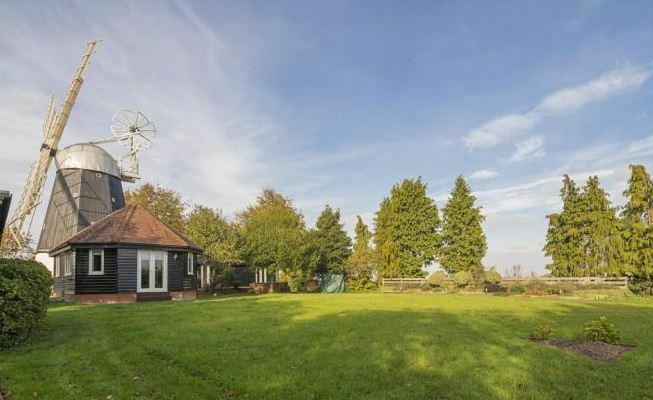 This is a particularly interesting and innovative way to keep the windmill tower relatively intact, whilst providing the modern day needs of kitchen + lounge + bathroom and bedrooms. 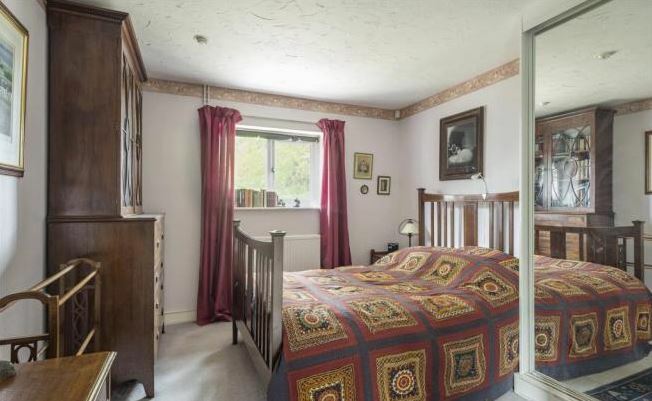 Smock Mill: One of The Bedrooms. 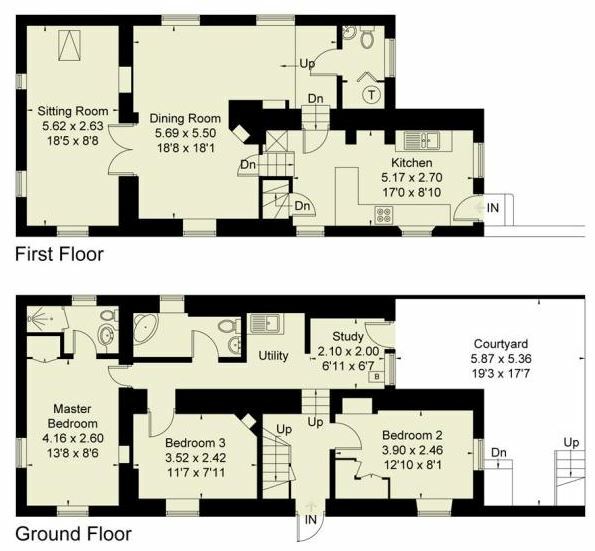 Smock Mill has 2 to 3 bedrooms depending on your preferred layout. Nowadays, many buyers work from home and require an office within their property. 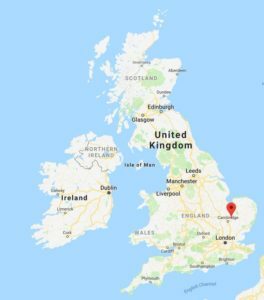 Location of Smock Mill, Mill Hill, Swaffham Prior, Cambridge, CB25 OJZ. 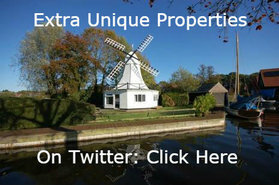 Or Call Lucy Banks at Savills Estate Agency – Tel: 01223 347 147. Stevenson Cottage, Noss Head Lighthouse Station, KW1 4QT. 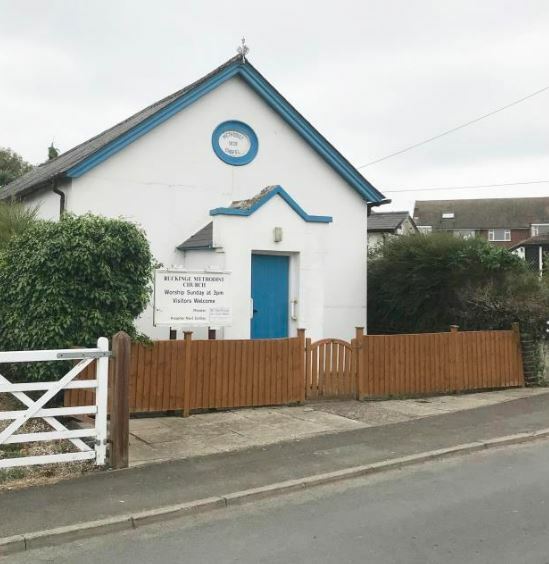 Ruckinge Methodist Church. 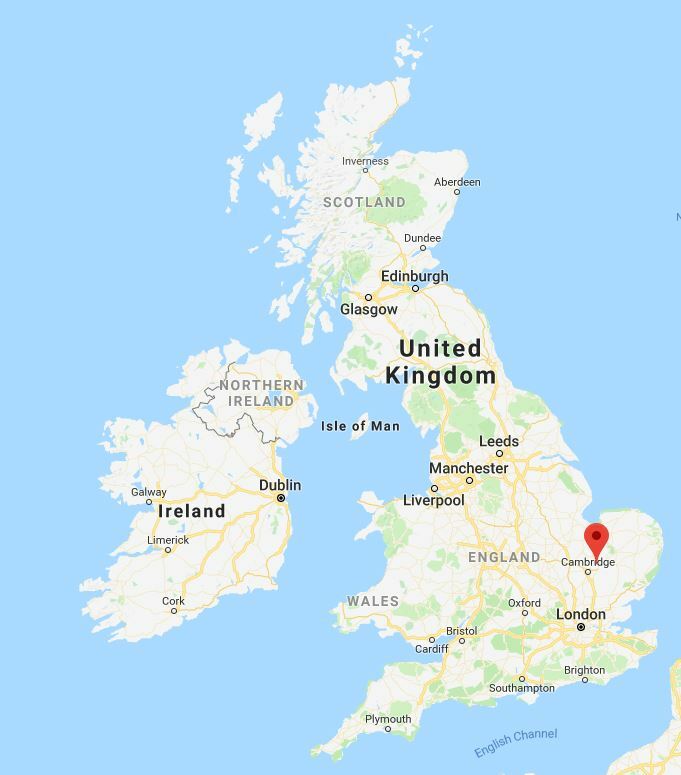 Ashford, Kent. 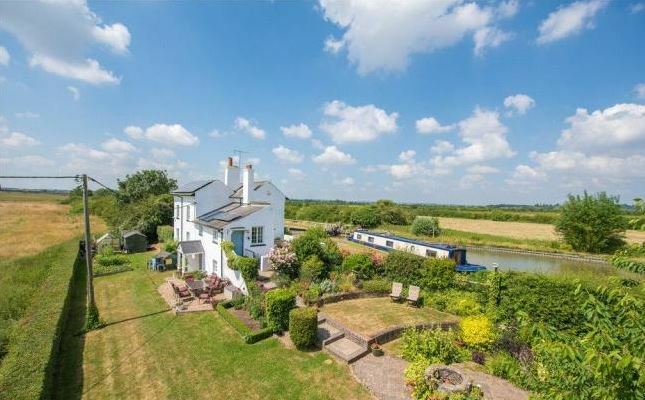 Auction Date: 5th February 2019. 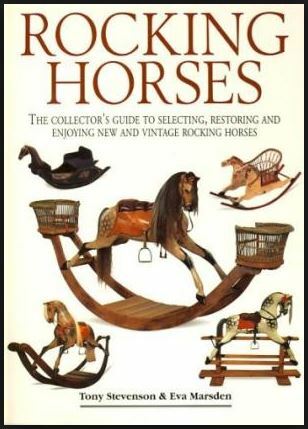 Eva sadly passed away in 2016, but Tony is very much on the go, and still creating beautiful rocking horses at the family business in Bethersden. 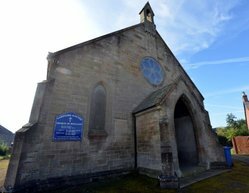 So if you buy this wee church building, maybe take a 19 minute drive and have a look at some of the wonderful rocking horses at Stevenson Brothers: Here. Or Call Kevin Gilbert/Chris Milne at Emson Auctions: Tel: 01622 608400. 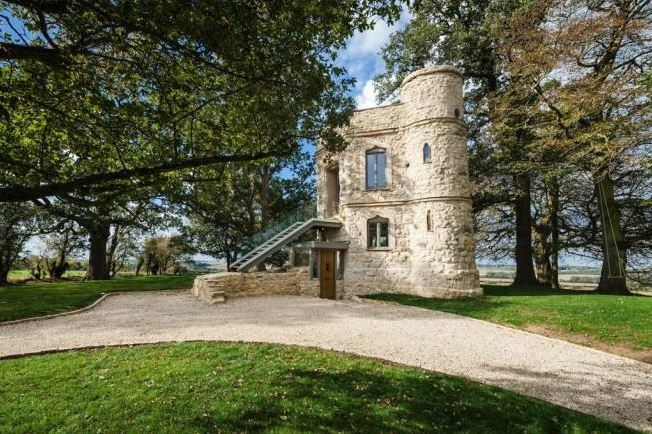 A lot of Lincolnshire property included with this iconic tower home. 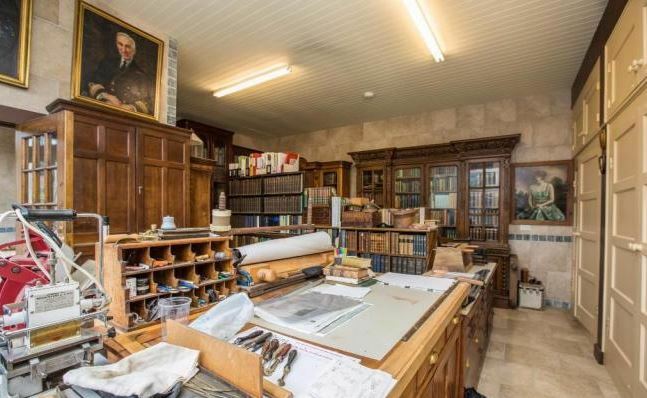 Guide: £695,000 (including the various outbuildings). 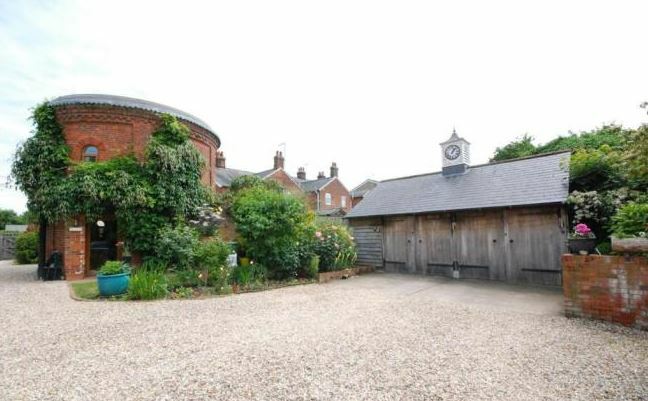 Or just the Tower + Mill House: £445,0000 (excluding the various outbuildings). Every now and then, here at Unique Property Bulletin, we see an eye-catching building which is definitely something we enjoy sharing with our readers. But more than just interesting: a property that is akin to a best-seller novel. A real page-turner. 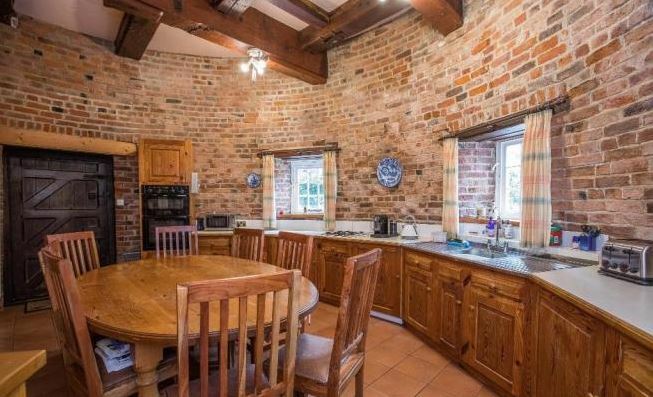 This converted windmill tower has a mill house with six bedrooms and looks gorgeous. But then you begin to study what is included? 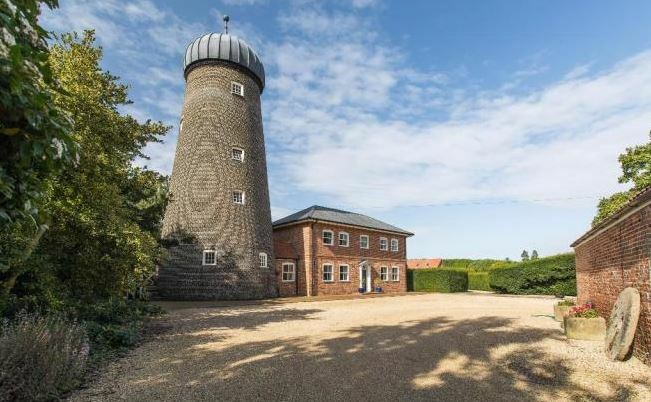 Well, it makes our small team here at UPB-HQ want to get in the old Bulletin jalopy and drive 567 miles to have a look at the former windmill tower + mill house and the extensive set of additional buildings that are included in this two-acre landscaped part of Lincolnshire. 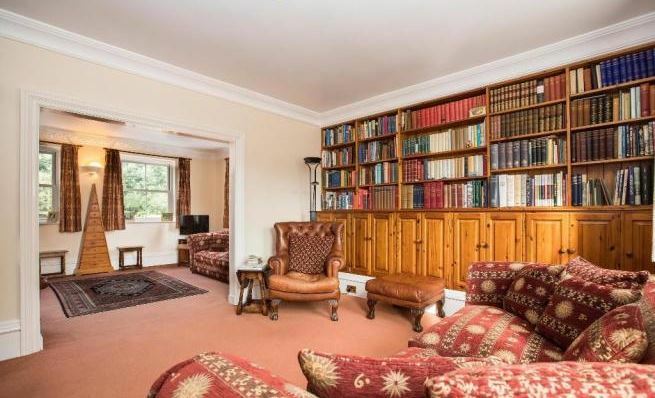 Lots of bookshelf space throughout these old mill buildings for nights-in, curled up with a good Alistair MacLean novel, or even a modern-day Denzil Meyrick. 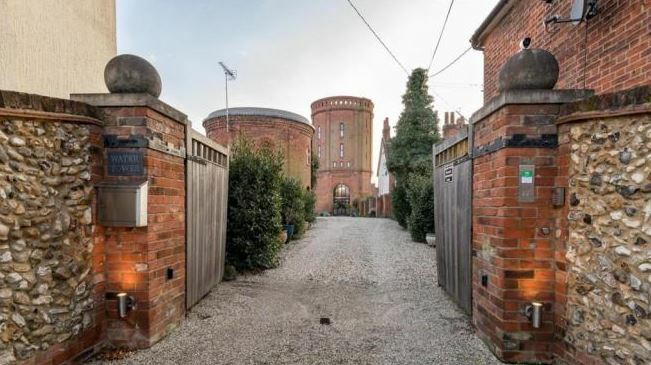 £445,000 For The Tower & Millhouse? When you take a look at the full two acre site, this is a large undertaking. 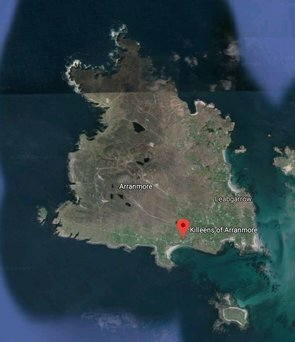 Two distinctive areas for sale and quite capable of being split into two legal entities for sale. 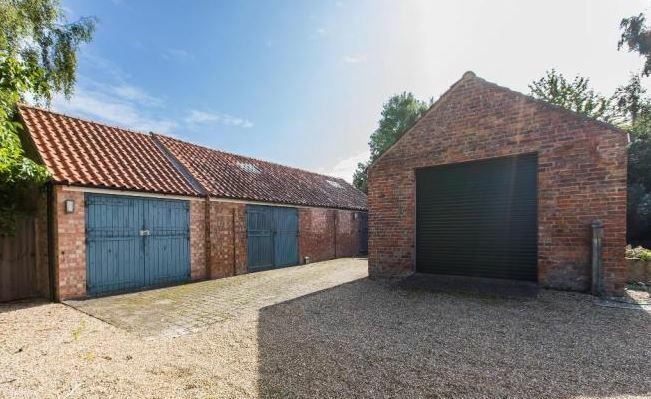 Within this listing, we have included photographs of several buildings at Kirton End Mill, all of which are included in the £695,000 sale. 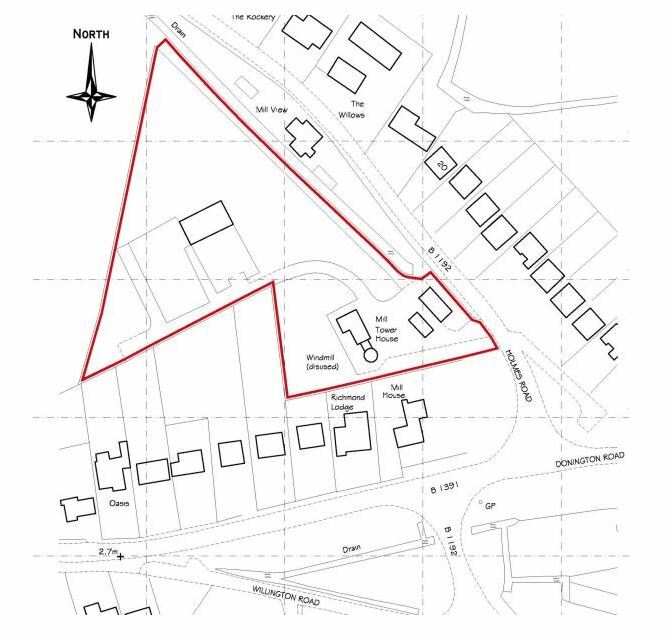 Those buyers for whom the £695,000 is a tad high, it may be possible to split this site into two separate lots – and make a purchase possible. We may be called property heathens for suggesting two separate owners. But our view is the buildings remain the same. They aren’t going anywhere. By having two lots with a separate owner for each, this makes the properties here much more affordable. 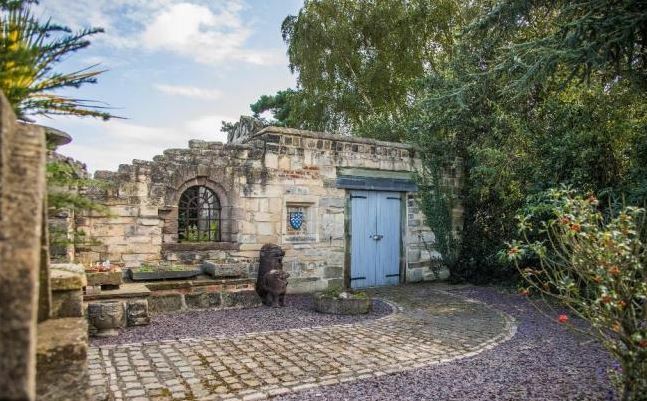 Indeed it may make the impossible dream an achievable reality for some buyers who find £695,000 out of their budget range but lust after just the converted windmill tower and mill house. 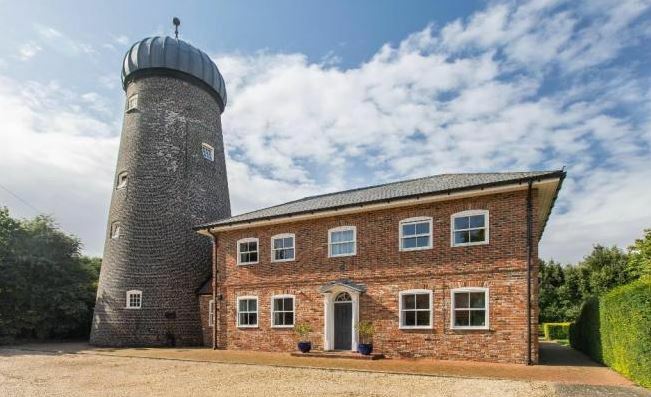 If you would like to consider buying the windmill tower + mill house part of this estate at £445,000, please get in touch with Unique Property Bulletin. 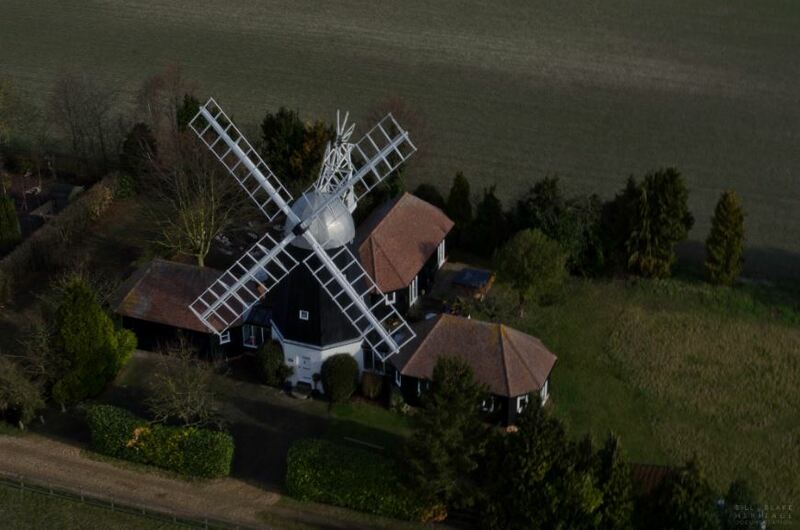 Text your email address and the word “Kirton Windmill” to us at: 0793 557 2803. Kirton End Mill Tower & Mill House. 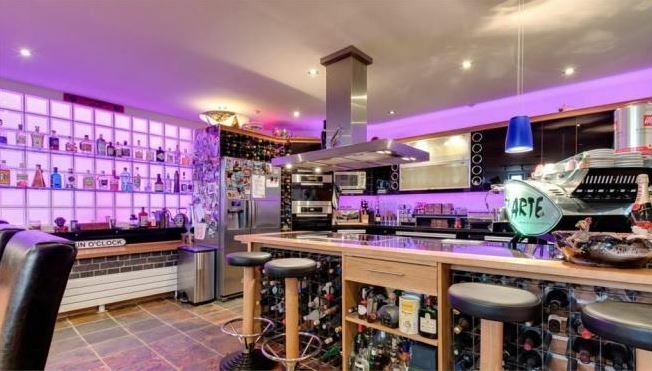 This Part Alone For £445,000? 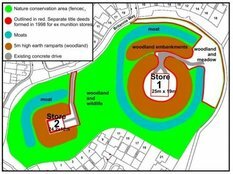 Unique Property Bulletin Can Help Make This Happen. We can then enter into a dialogue with you and study whether there is a mutually beneficial purchase of this set of buildings is possible. 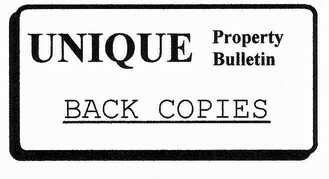 There are some very helpful historical notes: here. 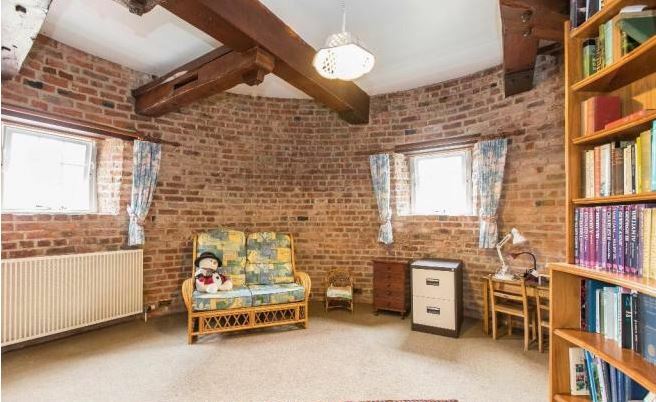 Kirton End Mill Tower – Excellent Home/Office Space: Historic. 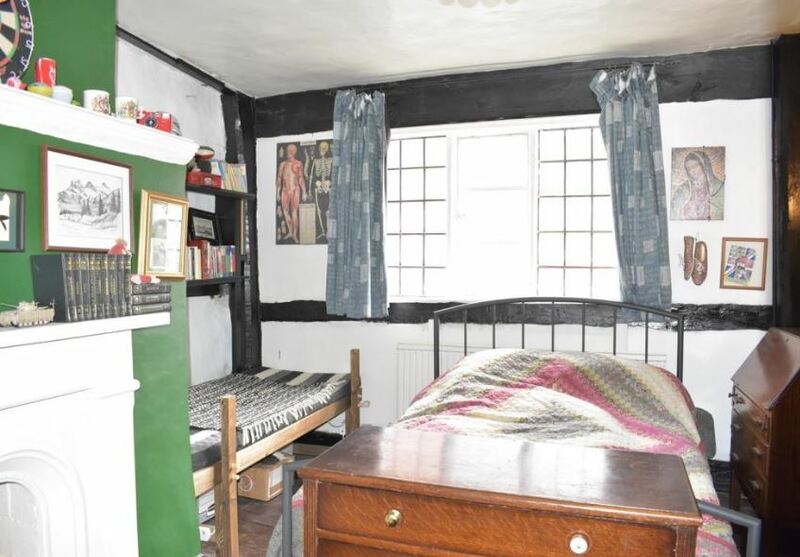 We reckon there is quite a bit of back story to this room. 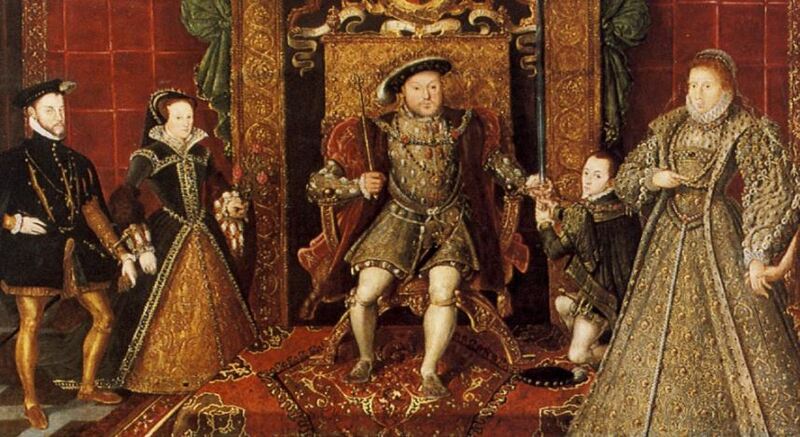 There appears to be an oil painting of a Royal Navy admiral on the wall. Fascinating. 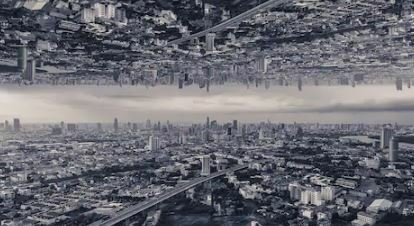 Well worth noting the layout in this aerial drone photograph. 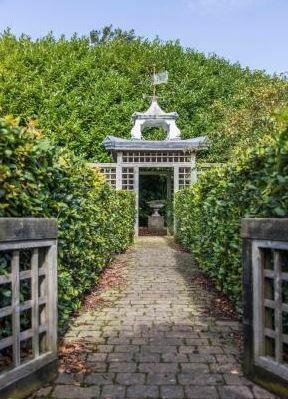 The formal and informal gardens are delightful and a very useful selection of buildings across two acres of land. 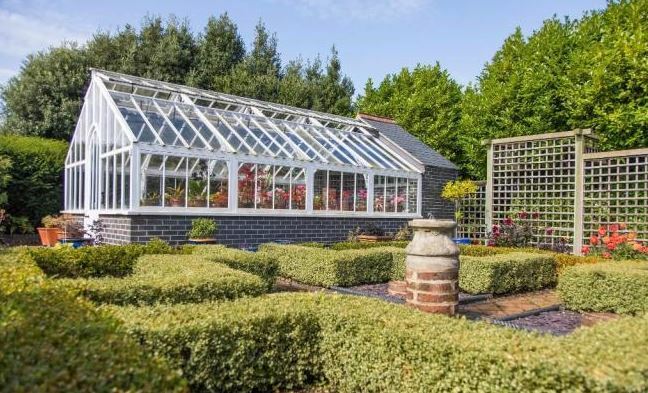 PLEASE NOTE: The estate agents are seeking £695,000 for the full property. 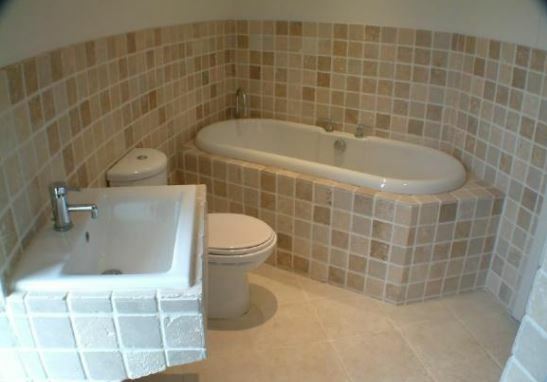 The estate agents are NOT suggesting a split sale. 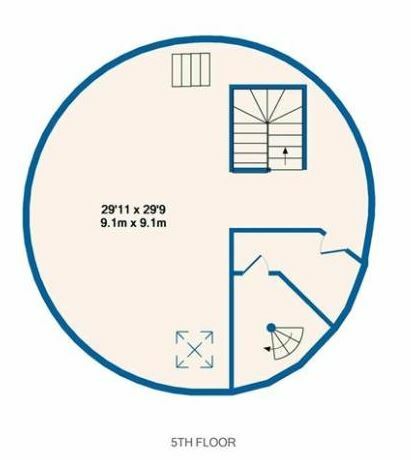 That is the idea from Unique Property Bulletin. 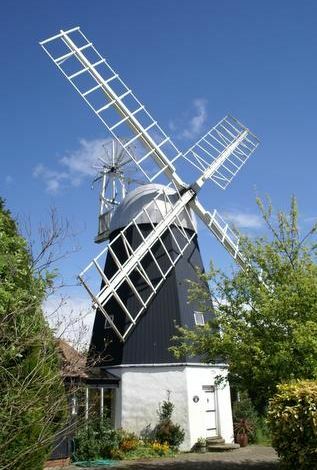 If £695,000 is above your budget, but you would like to consider buying JUST the Mill House and Windmill Tower for £445,000, then Unique Property Bulletin are able to consider buying the remainder. 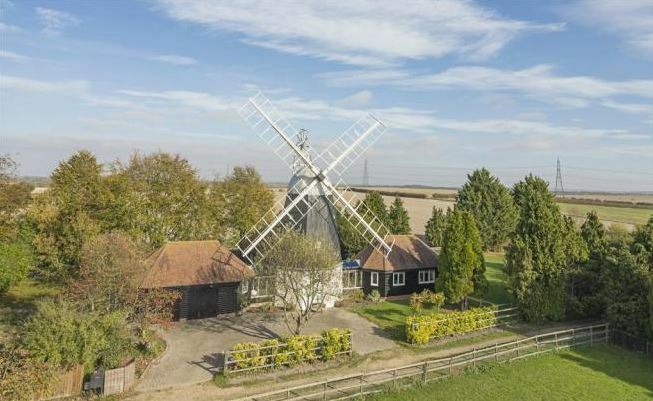 We must declare an interest in that our Unique Property Bulletin subscribers, formerly Argyll Group plc., would be buying the surplus buildings of this windmill estate for our office in the southern part of the UK. 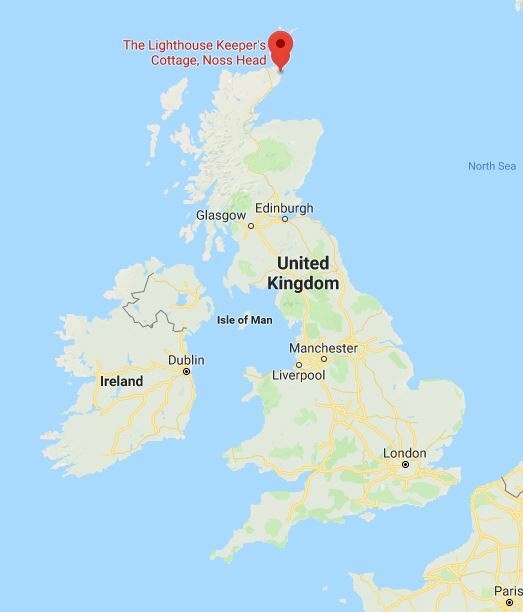 Regular readers will be aware that our new office at Noss Head Lighthouse Station is right at the very top of the country (here)! 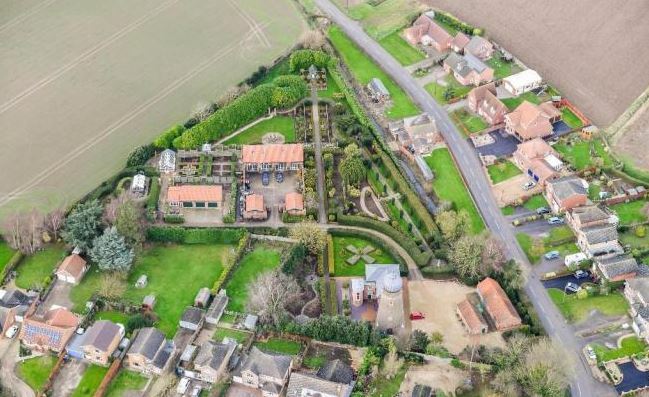 If you would like further details of the SPLIT sale proposal, please text your email address to our Unique Property Bulletin mobile: 0793 557 2803 and quote “Kirton Windmill”. Thank you. We no longer publish our email address on the main website as this led to Unique Property Bulletin receiving over 100 spam emails each and every day as floggers of little blue bedroom fun pills and knock-off designer handbags hoovered up many public domain emails and harrass most internet websites with junk emails. 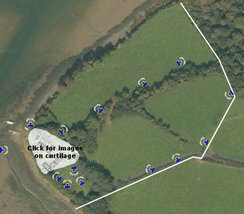 Woodscombe Farm, Nomansland, Tiverton, Devon, EX16 8NT. Woodscombe Farm, Nomansland, Tiverton, Devon. Airplane Hangar Included. 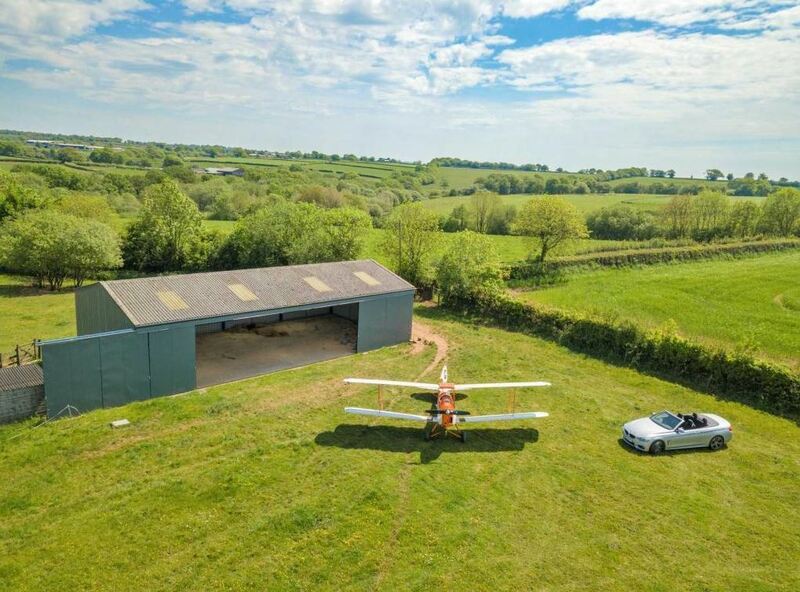 At Unique Property Bulletin, we would reckon a decent negotiator might just get the sellers to include a nice biplane into the sale: Here. 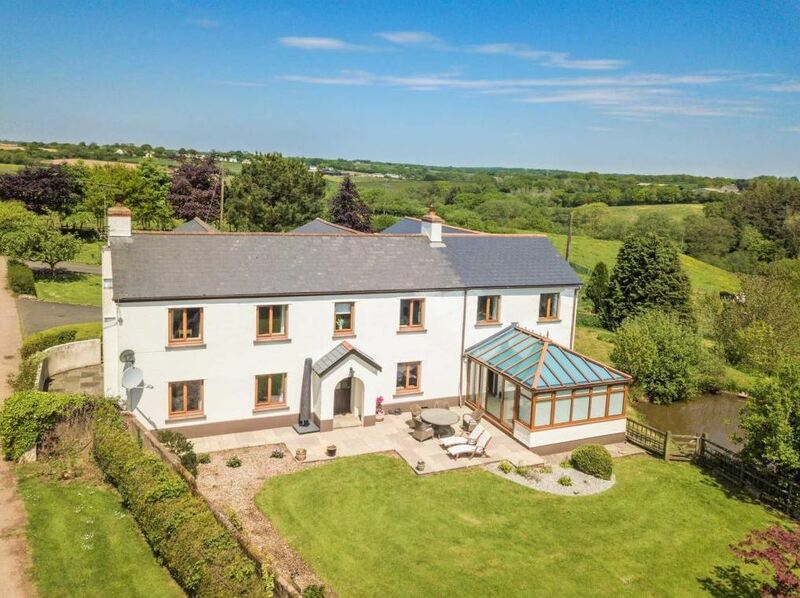 Back to the main building: a six bedroom detached house set in a very pleasant 58 acres of Devonian countryside. 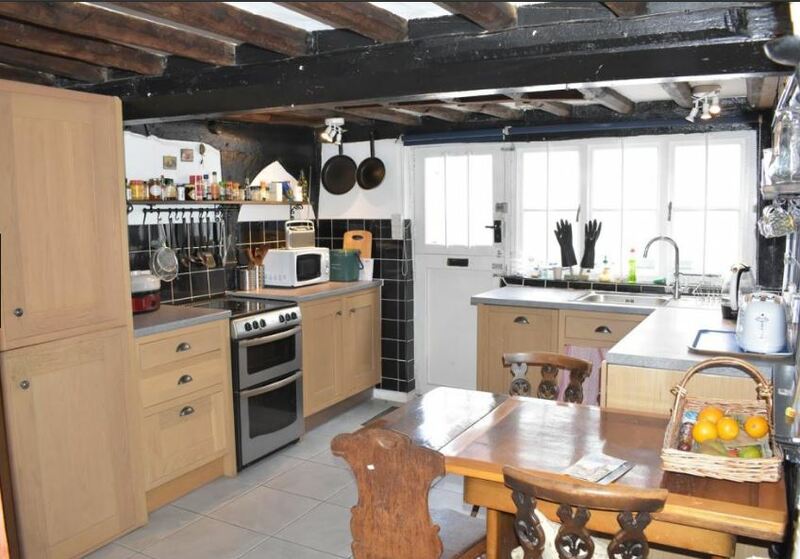 For sale is a Grade II* Listed, 3 Storey town house with 3 bedrooms; kitchen/breakfast room; lounge; covered courtyard/workshop; upstairs bathroom. 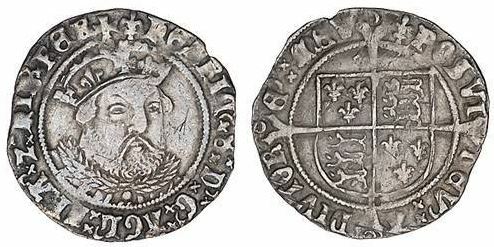 Here at Unique Property Bulletin we are trying to get our head around the age of this impressive piece of history. The people who built 82 Church Street would have been paid in groats (old 4d). The original inhabitants would have known a far different world. The Monarch at the time these beams were erected was likely to be King Henry VII though for sure, King Henry VIII had started ye olde conveyor belte of wivees and would have been an absolute power in the land (with his slice-and-dice divorce court), when the first occupants of this building moved in. 82 Church Street: The Living Room. If Walls Could Talk What Might Be Heard? 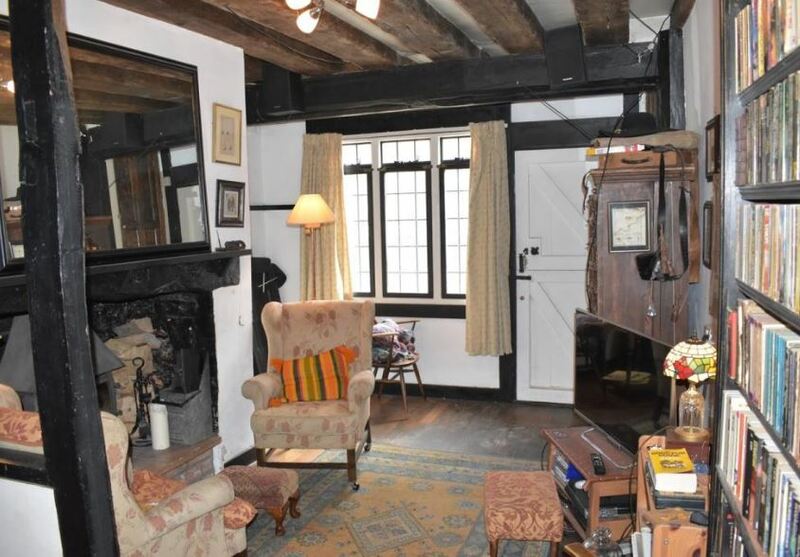 This Tudor house has been preserved and is listed (here), but fortunately also has modern facilities and will make a fascinating home for our readers who seek something a bit special in the Cheltenham and Gloucestershire area. There is further historical detail here. 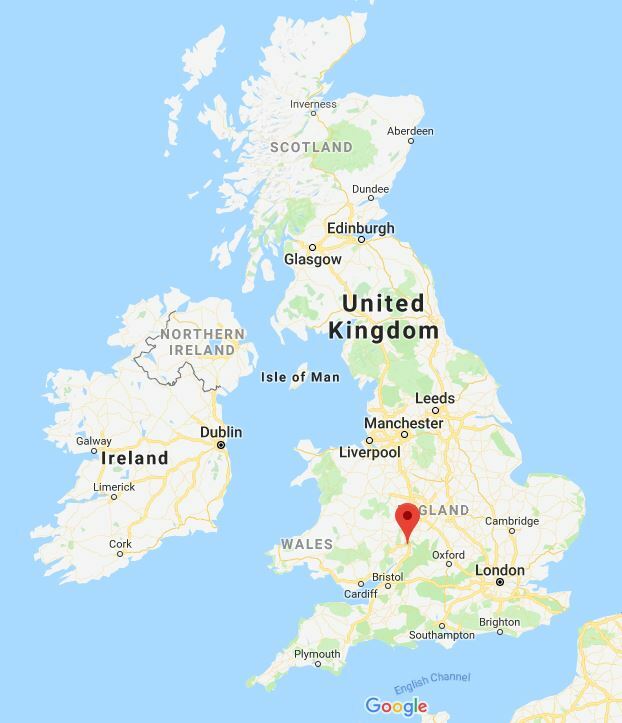 © Crown Copyright and database right 2018. All rights reserved. 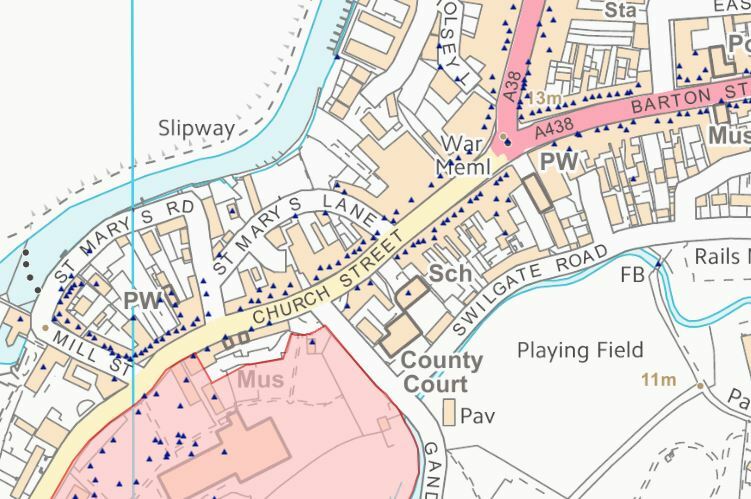 Ordnance Survey Licence 100024900. 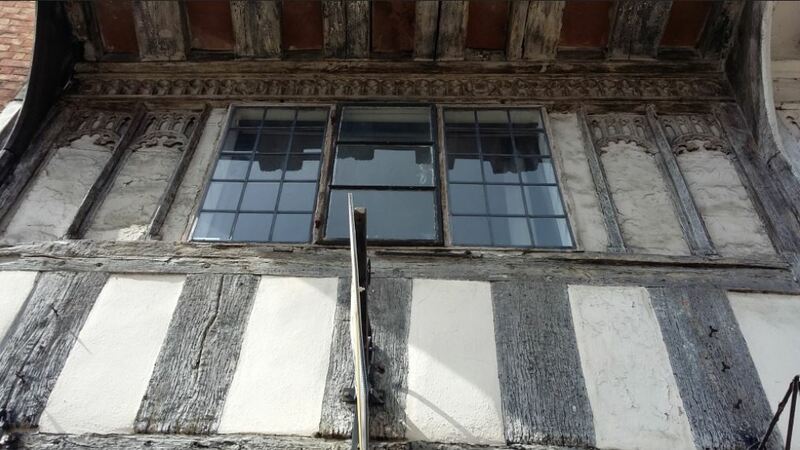 You can go interactive by typing “Tewkesbury” into the listed buildings database: Click Here. 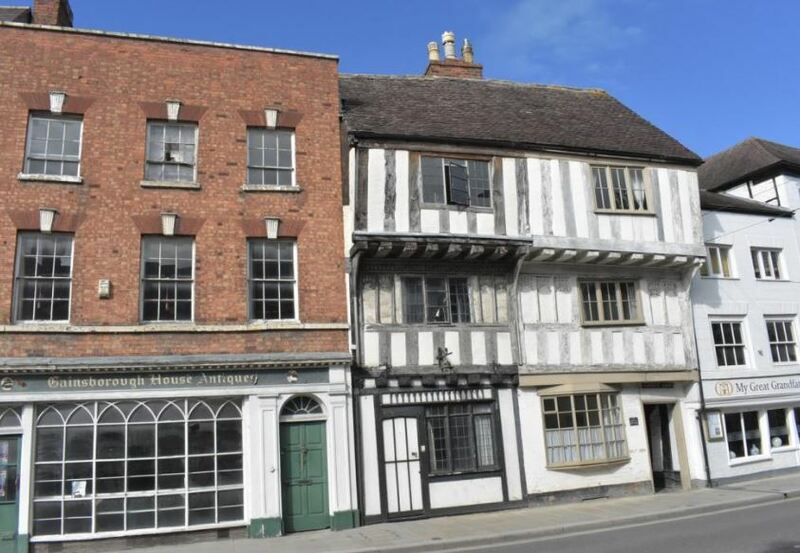 82 Church Street, Tewkesbury, Gloucestershire, GL20 5RX. 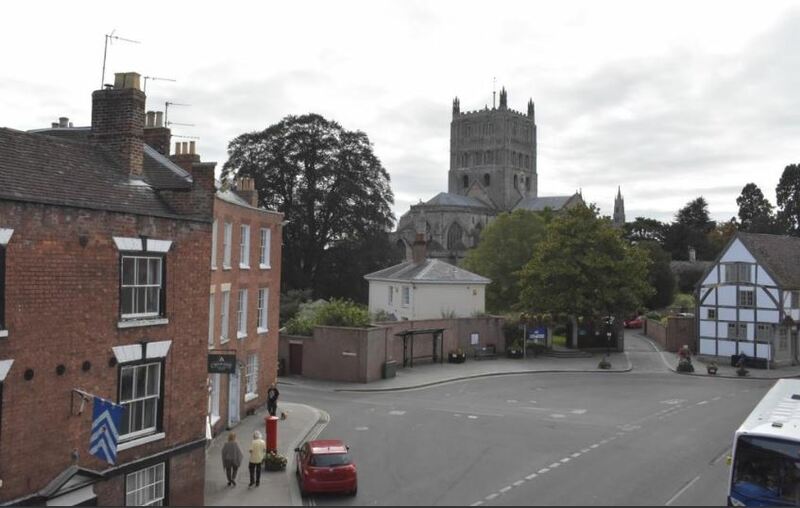 The location of 82 Church Street Tewkesbury is here.. 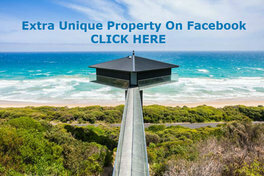 Unique Property Bulletin is a not for profit website run by volunteers. 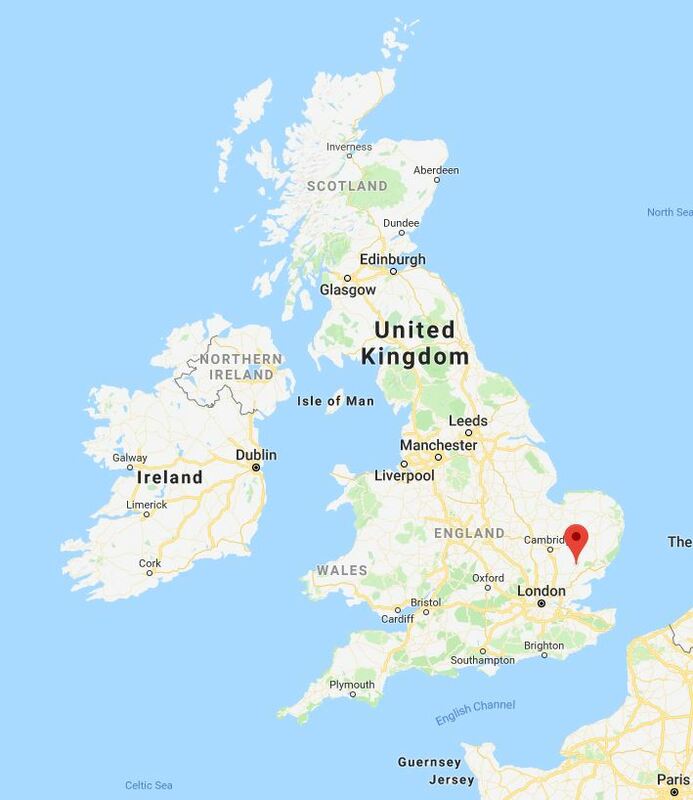 Please help us to help you: mention that you found this property via our website if/when you speak with the estate agent and owners. Many thanks. Falcon’s Nest, United States of America. UK Terrestrial Television For First Run. Unique Property Bulletin – Earlier Addition: 27th November 2018. 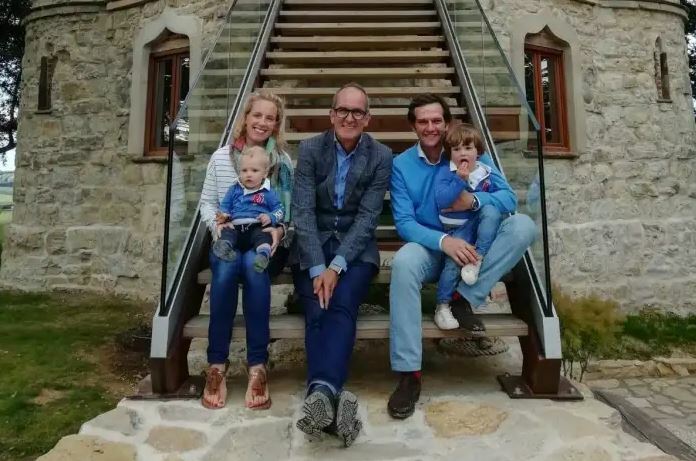 Given the longevity of this property programme, there evidently is something special in how Kevin McCloud’s team work alongside the owners. Often taking over several years to film and condense all that hard work into 46 minutes of unique property televisual bliss. As of today, 27th November 2018 there have been 198 episodes of this iconic tv series. Next year, on 29th April 2019 it will be the 20 years anniversary of this popular and enduring television programmne. First first broadcast in 1999. We hope to mark that special date in due course. 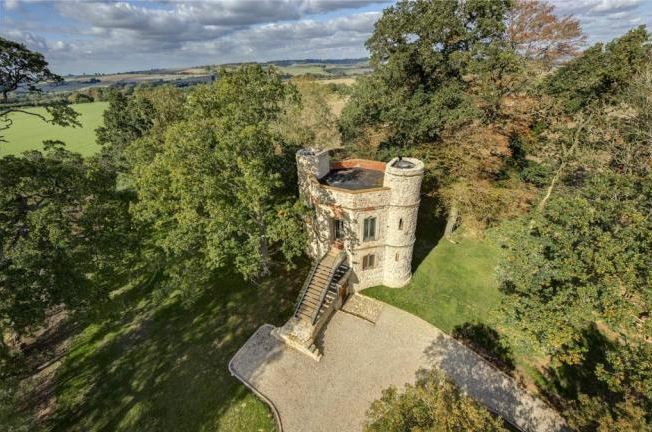 The most recent offering we present to you for sale is this fabulous, diminutive castle folly in Buckinghamshire. Unlike the Rocket House, Dinton Castle Folly has a very happy family. They should be smiling as the work dedicated to this old ruin has produced a fabulous new home. Would you like to look inside this Grand Design? Fancy finding out the guide price? 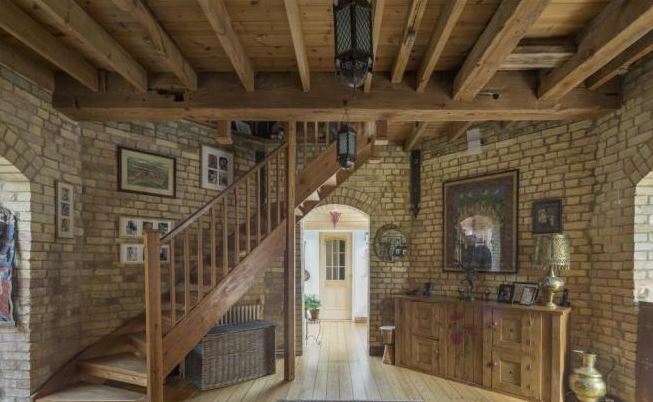 Unique Property Bulletin and Grand Designs For Sale are both not for profit websites run by volunteers. 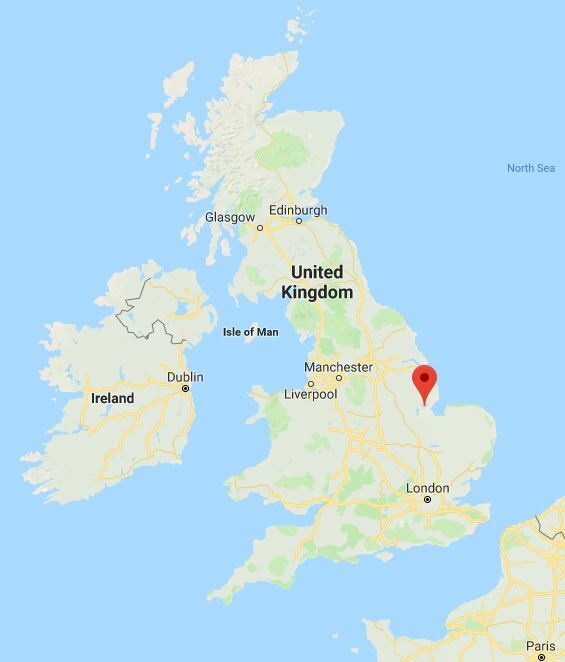 If you would like to help us help you, then please think about donating £3.65 and receiving a special feature article as our thanks to you: Click Here to find out more. Unique Property Bulletin – Earlier Addition: 20th November 2018. 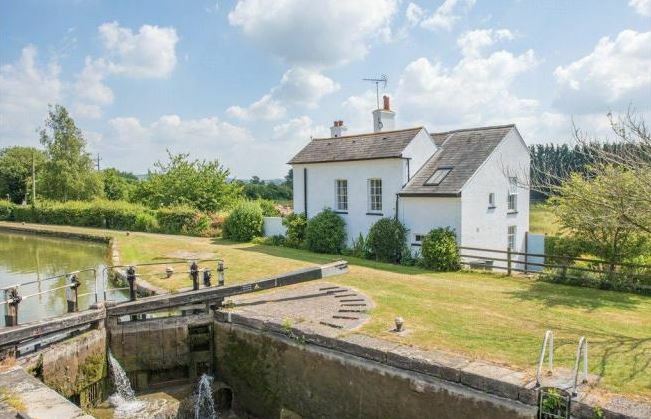 1999 Purchase Price of This Lock Keeper’s Cottage. Room For Manoeuvre? 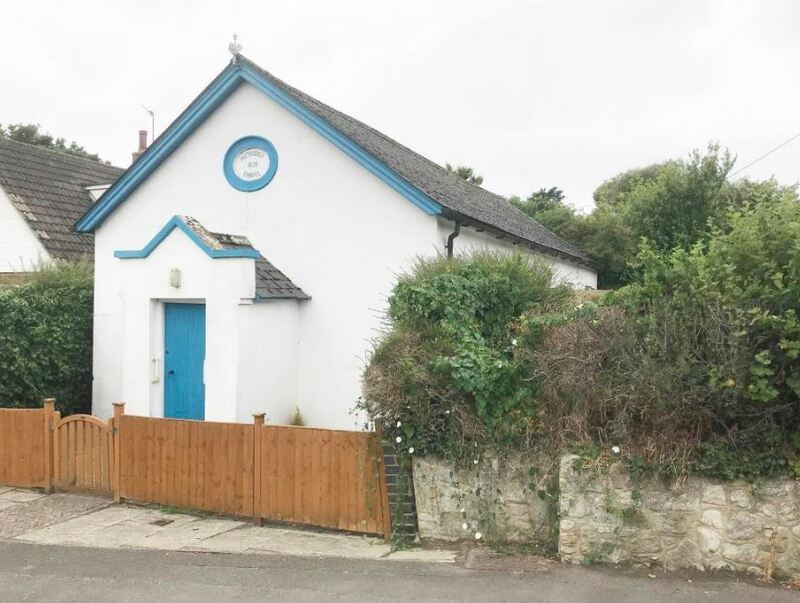 You might get slapton down by the seller, but we reckon a reasonable opening bid would be £595,000. 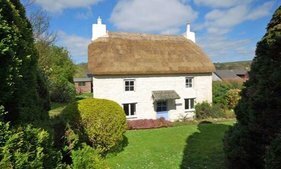 Lock Keeper’s Cottage, Slapton, Leighton Buzzard, Buckinghamshire, LU7 9DB. 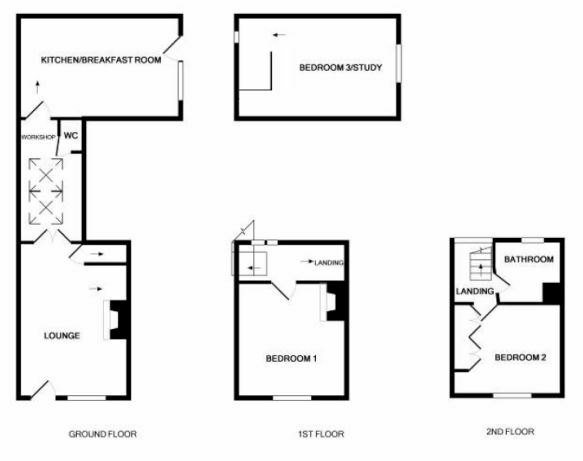 Unique Property Bulletin – Earlier Addition: 12th November 2018. 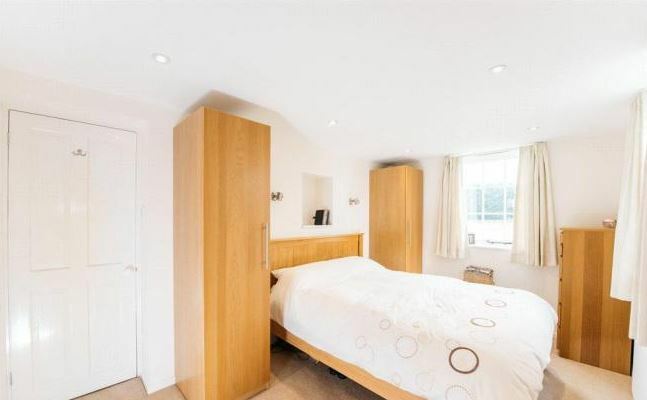 The Estate Agent Says: £1,600,000. 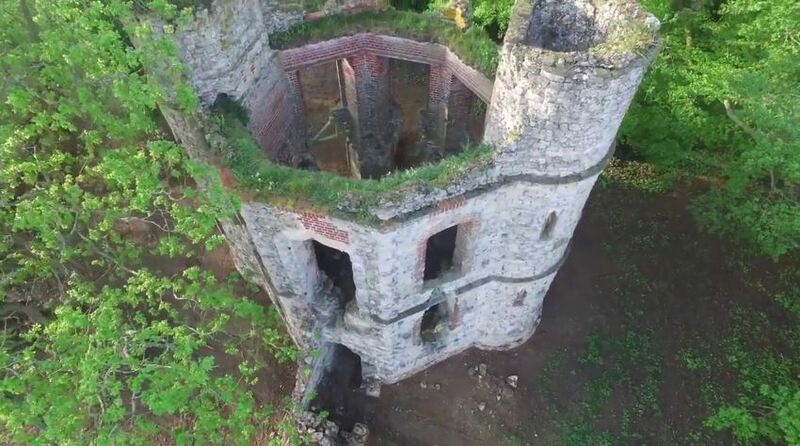 £975,000 For The High Tower? This is our suggestion – please don’t worry the estate agent with a confused offer. Read on…. 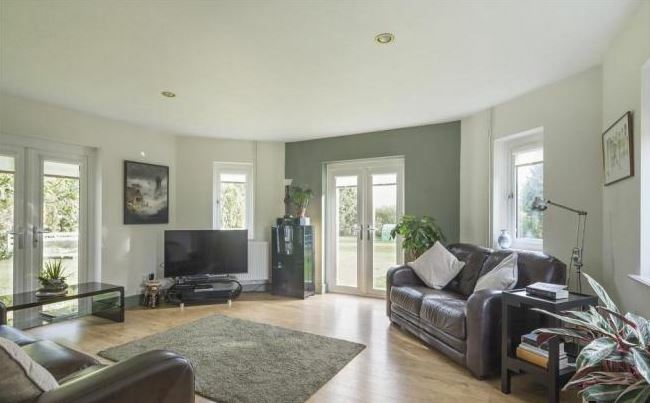 Maybe our analysis and logic will help save you £250,000 and secure the sellers an early sale, rather than several failed efforts each time a bank ends up saying ‘no’ to a prospective buyer. 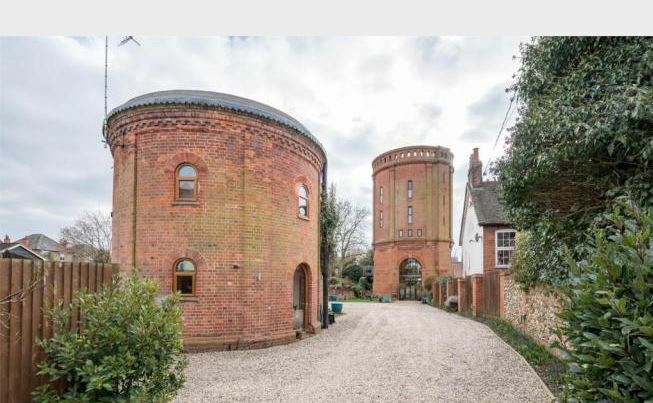 Here at Unique Property Bulletin, we have no skin in this Halstead game as far as these converted Victorian water towers are concerned. We are happy to write an editorial to help this listing – but in the process, we might go a tad off-message. Though the aim is sure: to help buyers get to a position where all parties are happy, including the seller. Over the years, many of our readers with a perennial problem of leaky-wallet-syndrome or who suffer from too-many-bills-itis have yearned for properties just beyond their financial reach. In other words, there is not enough money in the budget for what the eyes have seen and wee property searching paws have clicked onto – in the wonderful internet chocolate box of goodies. As you look for that ideal next home (within your budget) it can be frustrating to look at what often is just out of financial reach. So how about £375,000 and/or £975,000 as numbers to work with? Less overwhelming than £1,600,000? 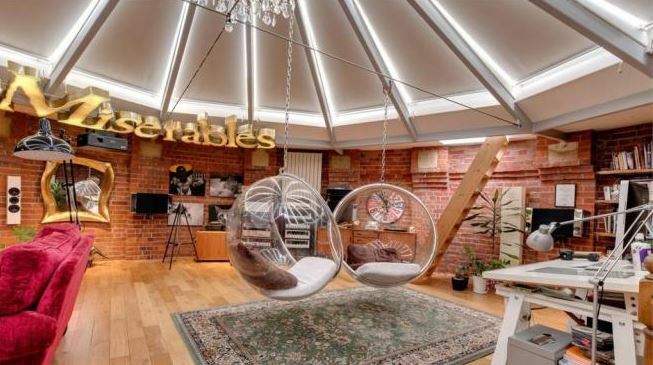 We love a little lateral thinking and might be able to cure your towering headache if this Halstead property catches your fancy. Water Tower Interior. We Love It. 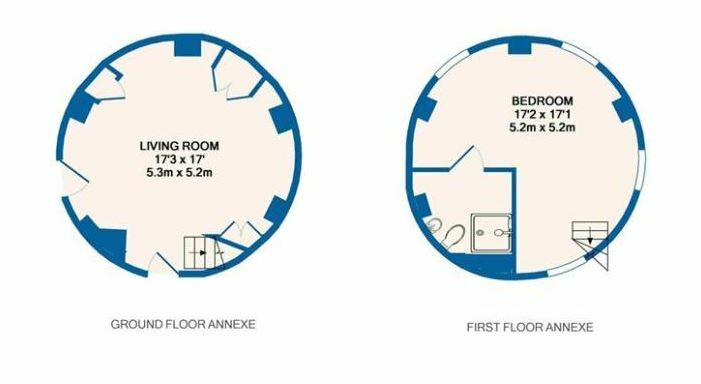 It is only when you drill down into the detail of the ample accommodation provided in these two separate towers does the realisation of what a thoughtful financing structure can do for you. Many folk will automatically swipe left and leave upon seeing the headline £1,600,000. But what if you take a second look and see £375,000 as the first number? Does that mean you might swipe right? 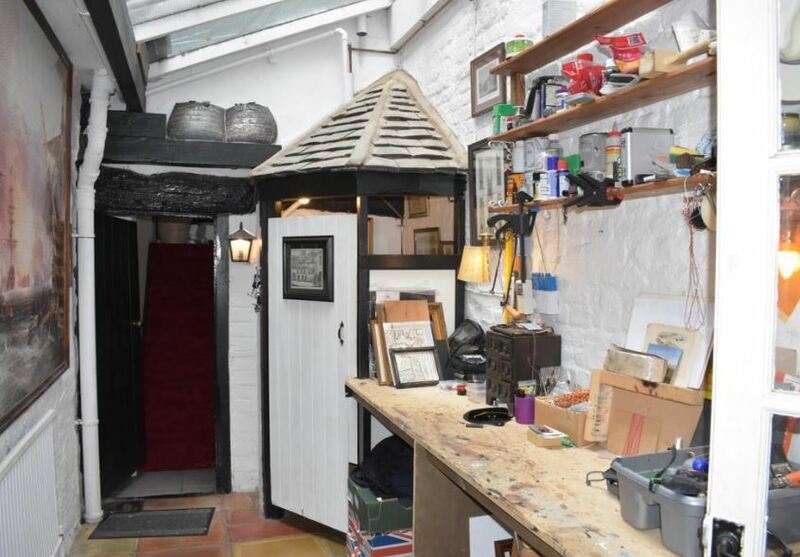 Plus The Garage – A Useful Nearby Annexe To The Small Tower? So how about an imaginative solution to bring the £1,600,000 down below the million mark? 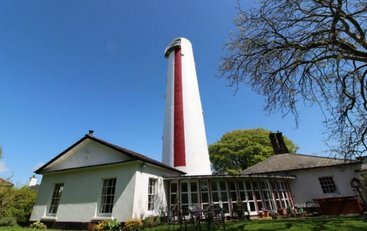 Say £975,000 for the main high tower house? Two ways to help make this happen. 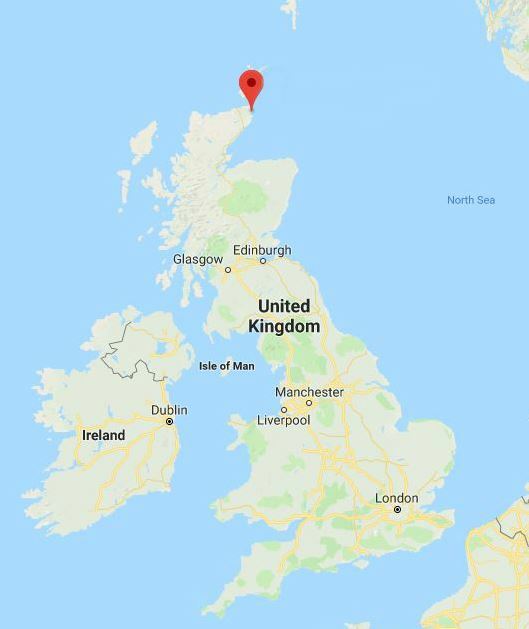 Either slice off the second tower for mother-in-law (gran can add £375,000 from downsizing the old family which many folk eventually find a burden). 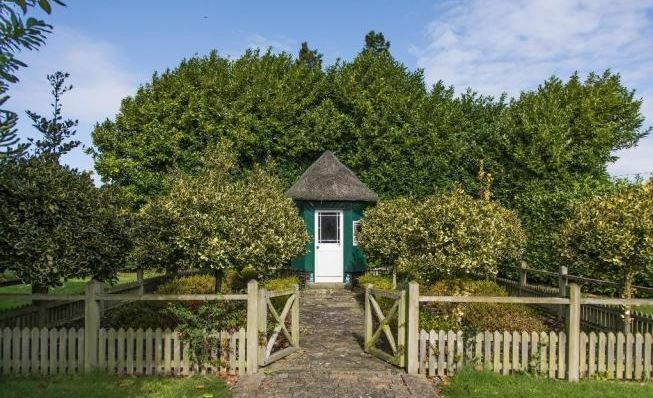 Or alternatively, place the small tower house into a separate pension pot. You will need the added ingredients of a decent pension adviser and possibly a buy-to-let mortgage broker for that tasty tower option. 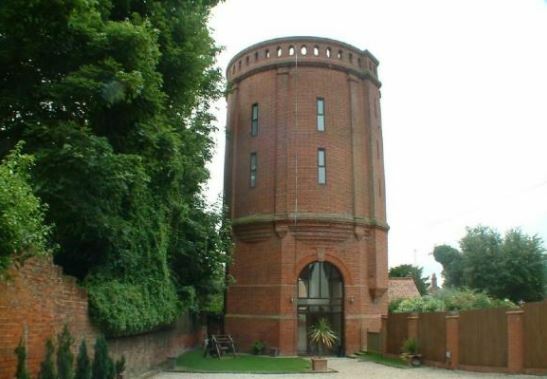 The Short Water Tower, Colne Road, Halstead. 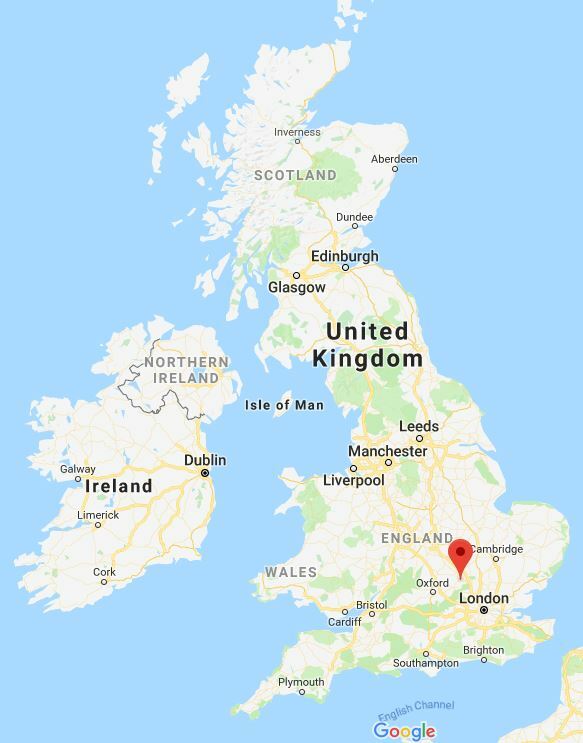 Were this within a few miles of our Unique Property Bulletin HQ., we would be putting in a bid at £1,350,000 to see what the seller had to say. 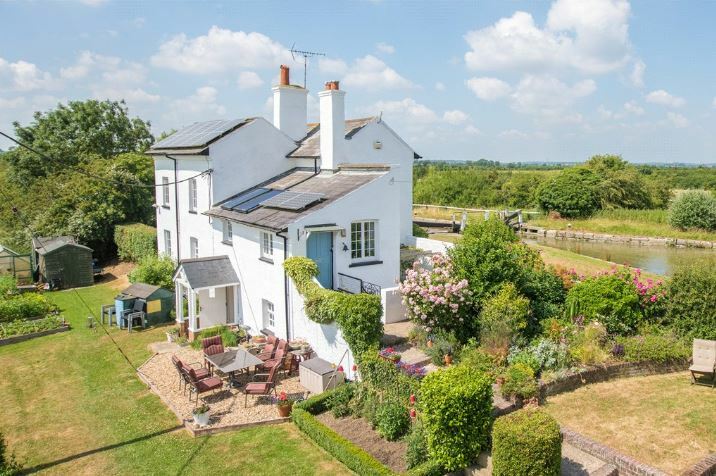 At this level, the current owners would receive a decent uplift from their 2008 purchase price of £572,500 and the buyer – possibly your family saves £250,000 – current £1,600,000 price is reduced a little (in relative terms). 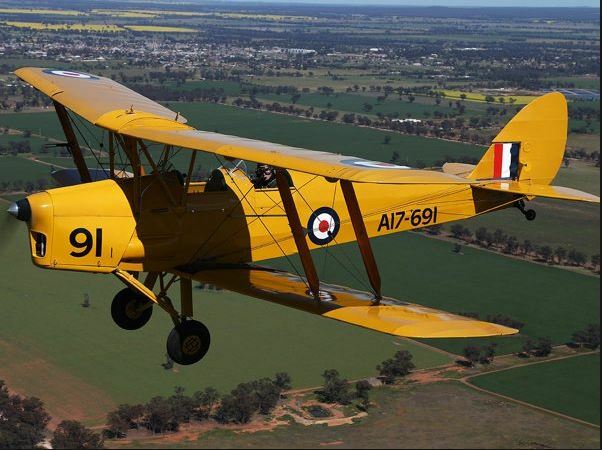 We have seen so many of these buildings get “stuck” at a high number and then end up shaving slice after slice – having lost out on serious buyers at the initial sale launch. 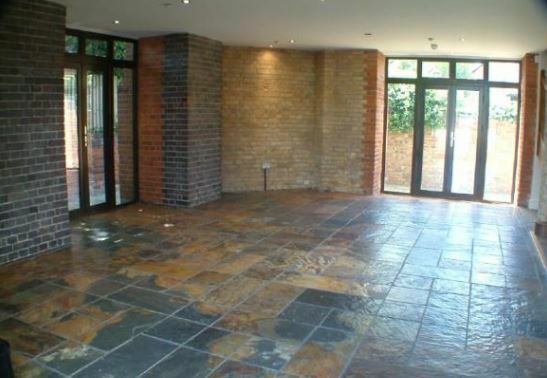 A thoughtful negotiation could and should help get buyer and seller together at say £1,350,000 to £1,400,000. 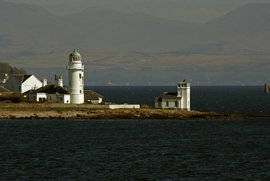 The headline High Tower becomes viable for many, many more buyers if that building were available at £975,000. 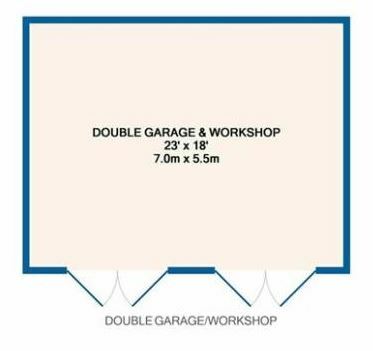 So our suggested £975,000 plus £375,000 dual-way, title-split purchase would give the sellers an opening bid of £1,350,000. Respectable, especially given the fact that mortgages are still difficult to raise even after all these years since the banking crisis. In fact, doubly difficult to raise a mortgage on the two towers because they are non-standard and there are two houses, not one, which can present problems and reduce the size of the mortgage/lender pool even further. 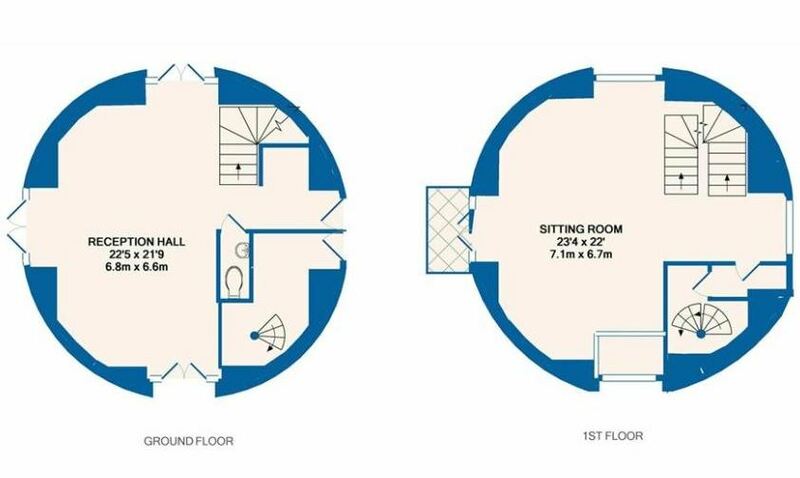 Unique Property Bulletin is just sketching out a way to help make this two-tower property affordable for one (or two) of our readers. This is the help-line for ourselves at Unique Property Bulletin, and we will do our best to assist. Please note we are NOT the estate agency. 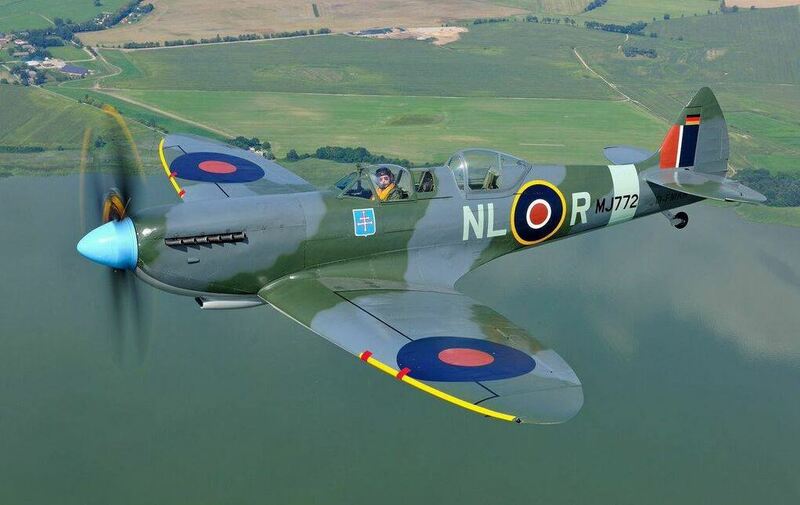 Although we have helped to make purchases like this one happen. 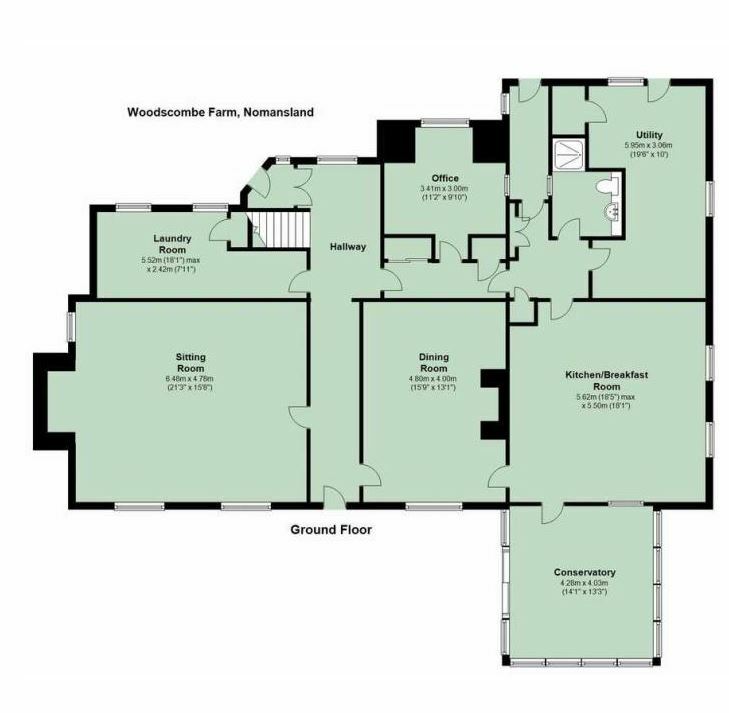 Where two buyers seek a part of a larger lot but are unable to find the other buyer in this style of jigsaw. 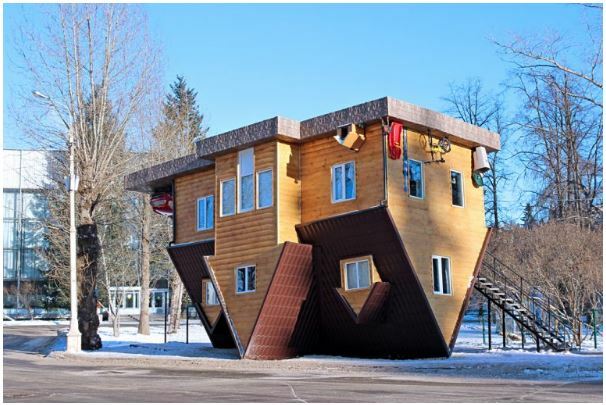 We may be able to assist such a dual property split purchase. 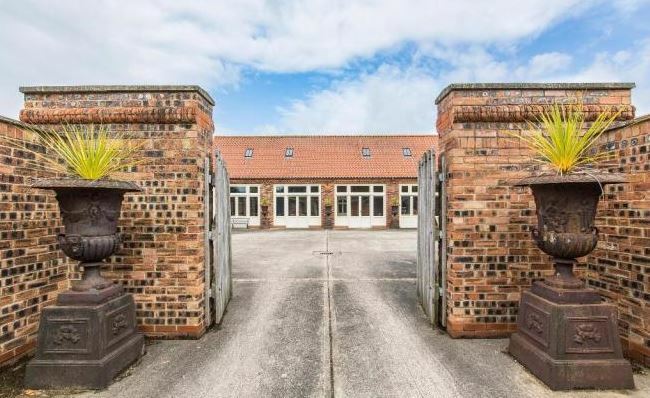 One Gateway Leading To Two Homes? So you could end up with buying just one of the two towers with a bit of help. Or the most likely outcome in this scenario is to grab your granny and have her join the family as a near neighbour. 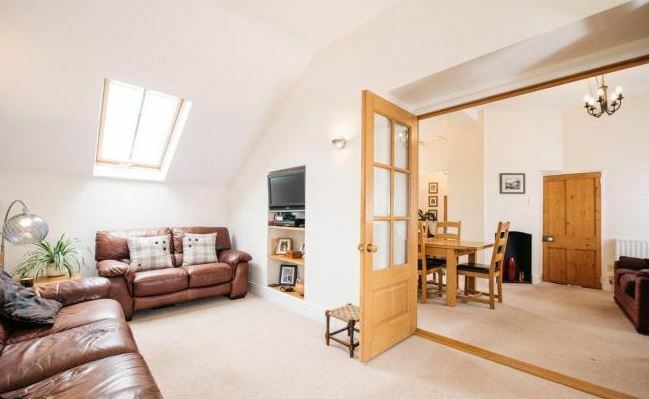 It may also be possible to take control of your pension pot and put it into the annexe, or utilise a buy-to-let mortgage for the spare tower and rent it out. 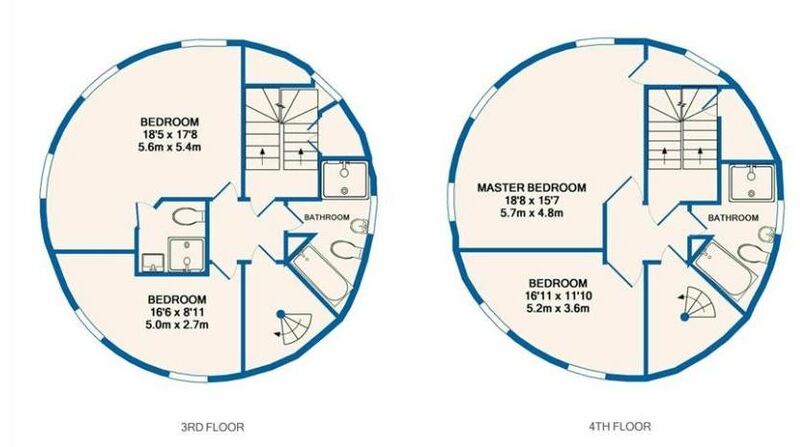 Planning might be an issue, but hey, you may need to work at this a bit in order to reach the ultimate goal of owning this remarkable property. Probably the best solution is to keep it in the family. Have Grandpa and/or Grandma join in. 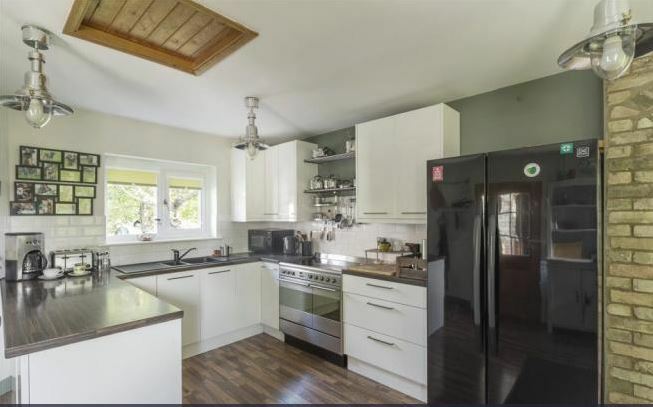 Even go ultra modern and move your 33-year-old son/daughter out of the main house as more and more adult kids are sticking to Mum and Dad like super-glue never leave the home sprogs. 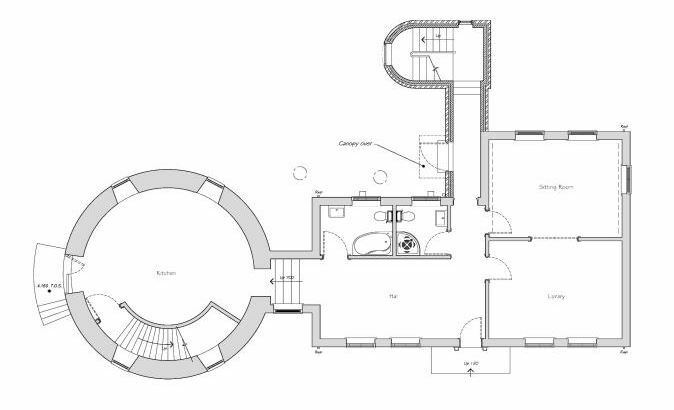 Your granny will need to be fit for the annexe stairs, but with modern metal hips being a marvel of technology, a first-floor property for a family member is something many folk could work towards. Especially as the two towers are completely separate. You have the nearest and dearest close by, but not overly near. Click Here To Study The 10 Year Old Photo Archive. We love the fact you can see many photographs of this house from way back when. The new owners have certainly brought some amazing style to the place and look to have enjoyed this wonderful property. Seriously, if they were nearer to us, we would be having a negotiation on the price right now. 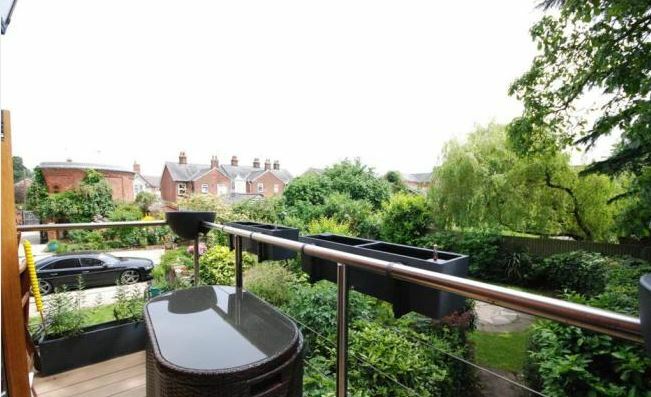 If these were worth £572,500 ten years ago and the capital value has tripled in that decade, including the worst recession in living memory, then what will be the towers’ value in 2028? 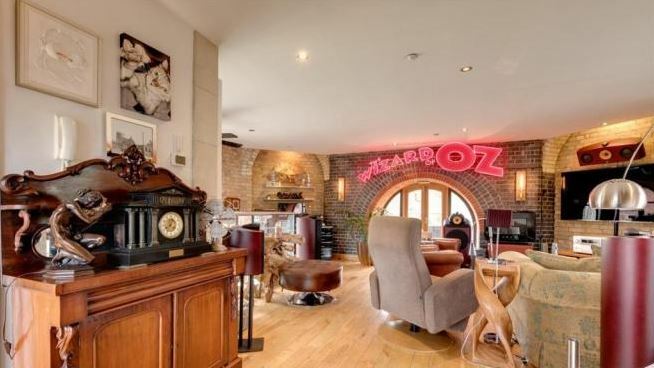 Around £4,500,000? No guarantees, but as Lex Luthor the well-known property guru says: “People will always need somewhere to live”. Okay, he was an evil genius who fought Christopher Reeve and lived in an underground subway, but the principle is sound. 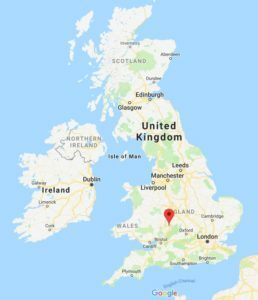 Hopefully, we have narrated a way to acquire a £1,600,000 property that is genuinely unique for £975,000 – and park the annexe in a separate financial pot at £375,000. 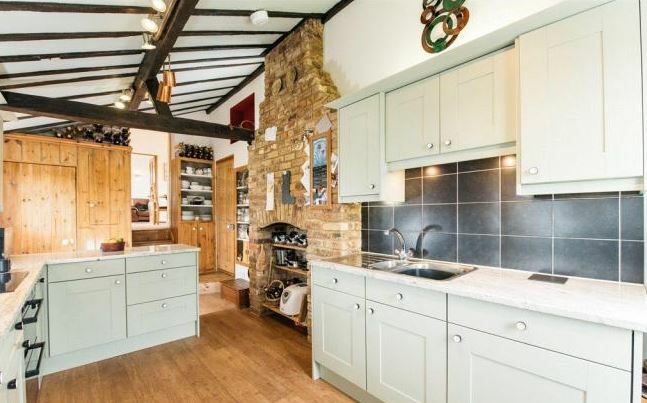 If you do end up buying this Essex property, please let us know? 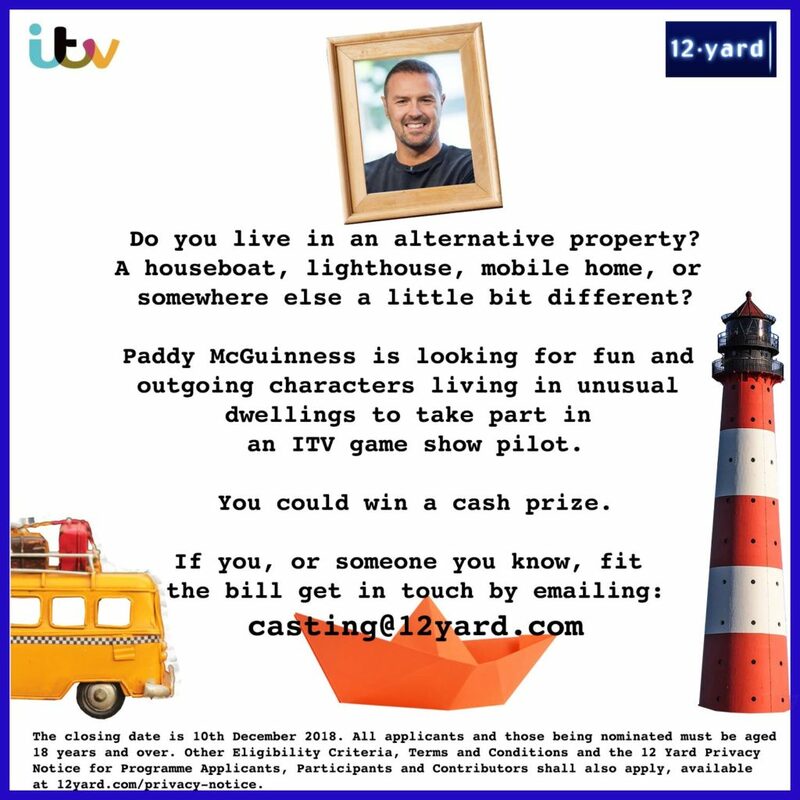 We have a television company keen to film how you get on! 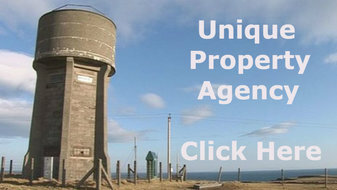 For Further Details of the Essex Round Water Tower Home Conversions. Please note, the £1,350,000 opening gambit is only our opinion. Please don’t text us and moan if the estate agent turns puce colour and says bu66er off! 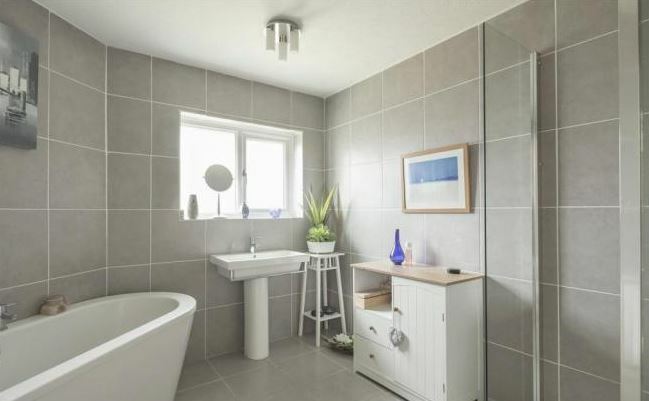 Unique Property Bulletin – Earlier Addition: 10th November 2018. Have we any eccentric property dwellers who are game to join in? Do you fancy giving this a go? Then please consider contacting 12 Yard Television production team.